Nothing like keeping things in the VW family. 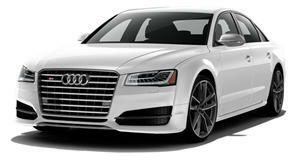 Only days ago did Audi reveal its all-new A8 large luxury sedan, but we didn’t hear anything about the upcoming S8 performance-oriented version. Fortunately, Evo has learned that Audi has asked fellow VW Group family member Porsche for some assistance in the form of its 4.0-liter twin-turbo V8, the same engine powering the new Panamera Turbo. Wicked. Under the Panamera Turbo’s hood, this engine produces 542 hp and 568 lb-ft of torque, allowing the big Porsche to go from 0-62 mph in only 3.8 seconds and hit a top speed of 190 mph. Evo claims Audi will slightly detuned the engine to around 530 ponies, with its own 0-62 time of, give or take, 4.0 seconds. Top speed is said to also be slightly down, say around 185 mph. And that’s all just for the S8; there’s also the S8 Plus. Once again, this same engine will be called upon, only Audi will add a plug-in hybrid powertrain, also present in the Panamera Turbo S E-Hybrid. 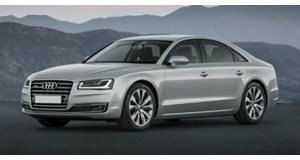 The S8 (E-Hybrid?) will, once again, have slightly less output than its distant Panamera cousin, but it certainly won’t be any slouch. 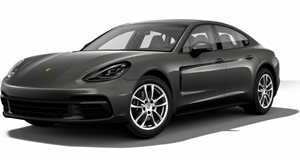 The Panamera Turbo S E-Hybrid’s setup delivers 550 hp along with another 136 hp courtesy of its electric motor, and a combined 627 lb-ft of twist. Zero to 62 happens in 3.4 seconds and a top speed of 193 mph. Audi won’t officially announce the new S8 and S8 Plus until sometime in early 2018, just after the A8 arrives in dealerships. One awesome thing at a time, as is typically the case.